Clouds is a small publishing house involved in the publication of art books in Aotearoa New Zealand. We are primarily interested in increasing the supply of interesting tomes and slimmer volumes both about and by artists. We are Warren Olds and Gwynneth Porter. Clouds has offices in Christchurch and Auckland. 005 Who's Afraid of the Big Bad Wolf? Please contact us if you are interested in becoming a stockist. We offer standard trade terms to retail partners. Our publications are distributed in the USA and Canada by RAM. In Germany, Austria and Switzerland our publications are distributed by Vice Versa Vertrieb. 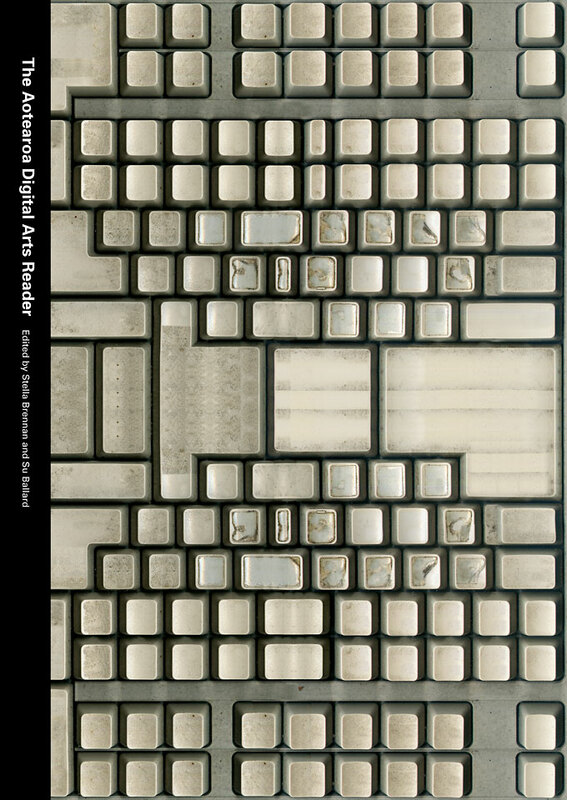 A comprehensive anthology, The Aotearoa Digital Arts Reader provides a snapshot of digital art practice in Aotearoa New Zealand. Editors Stella Brennan and Su Ballard present essays, artists� pageworks and personal accounts that explore the production and reception of digital art. Ranging from research into the preservation of digital artworks to the environmental impact of electronic culture, from discussions of lo-tech aesthetics to home gaming, and from sophisticated data mapping to pre-histories of new media, this book presents a screen grab of digital art in Aotearoa New Zealand. All contributors are members of Aotearoa Digital Arts (ADA), New Zealand�s only digital artists� network. With its mix of work by artists, theorists and educators, this reader represents some of the best new thinking about digital art practices in Aotearoa New Zealand, reflecting the politics of location, yet highly relevant to the wider contexts of digital media art and culture.